Making your own Christmas card is not only fun to do – but is appreciated so much more by the receiver. 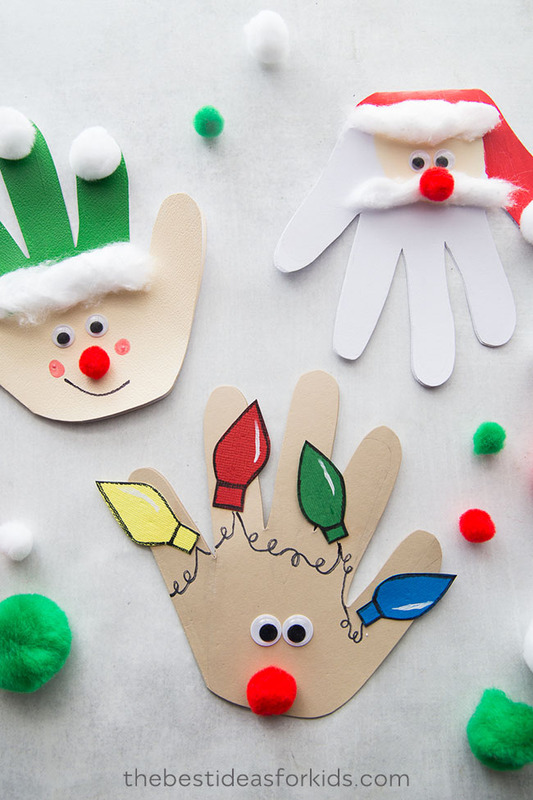 Kids can make handmade Christmas cards to give to family and friends at Christmas. And if you’re like us, we don’t like spending money on cards when you can create something that will be cherished for many years. 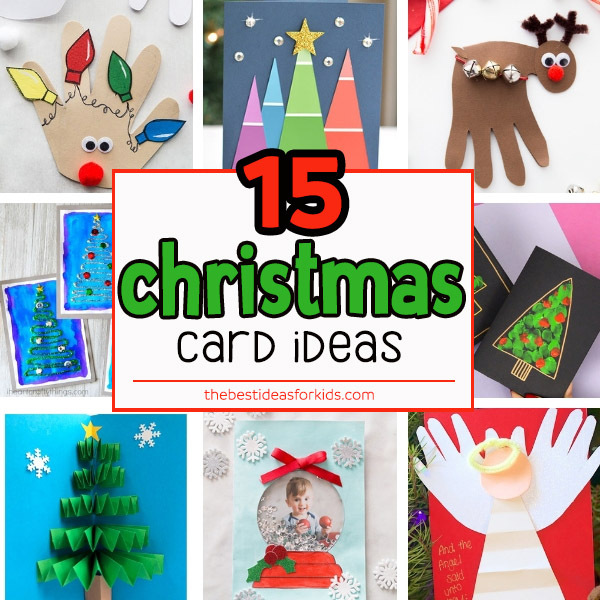 So we’re sharing over 15 of the best Christmas card ideas. 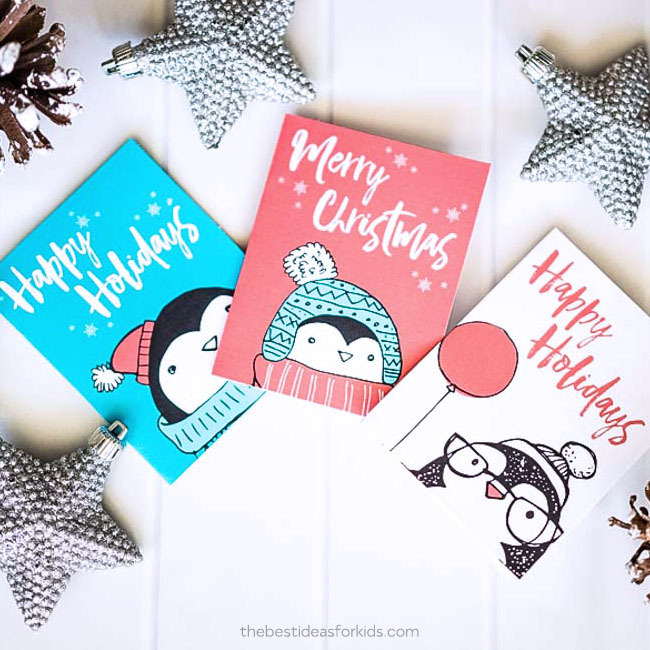 There is something for everyone on this list – and not just for kids, adults can have fun making these handmade Christmas cards too! 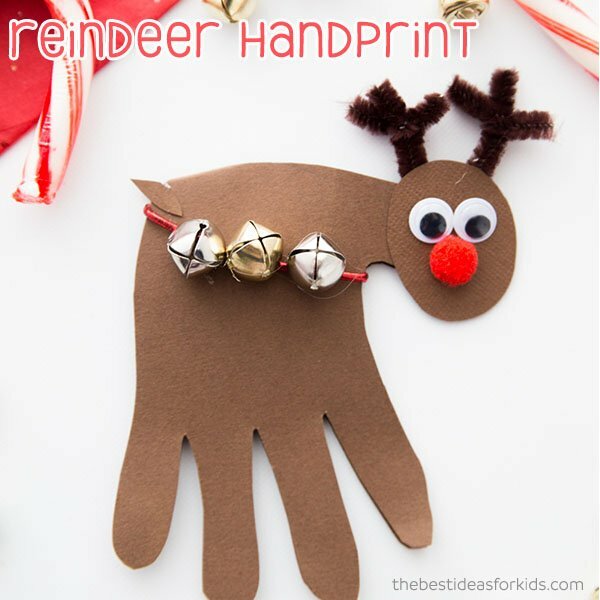 Reindeer Handprint Card – This reindeer handprint card could also be turned into an ornament. For another reindeer handprint card, see these Christmas handprint cards. You can also make a Santa and an elf too! 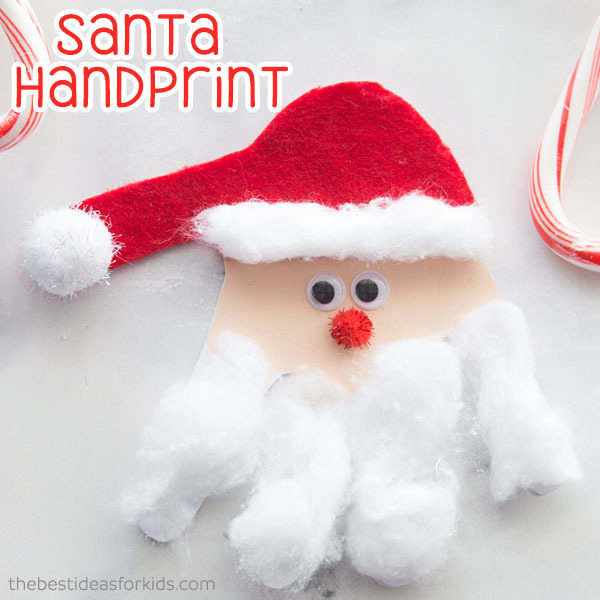 For a different way to make Santa, see this Santa handprint card. 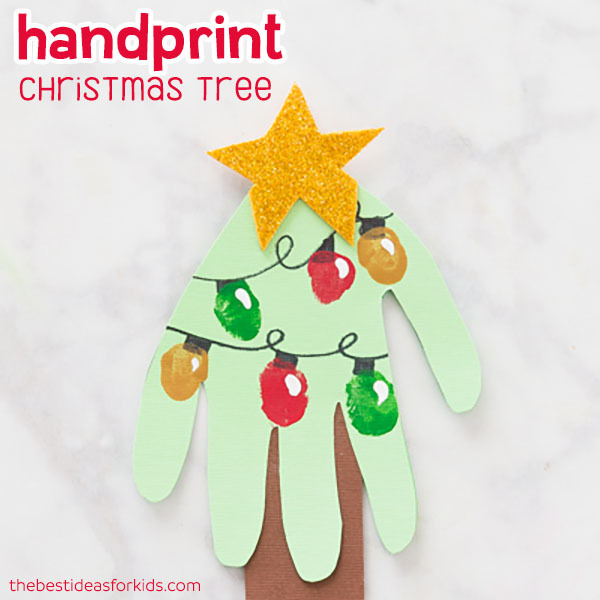 For another handprint card, see this Handprint Christmas tree. You can make the lights from fingerprints too which is so cute! 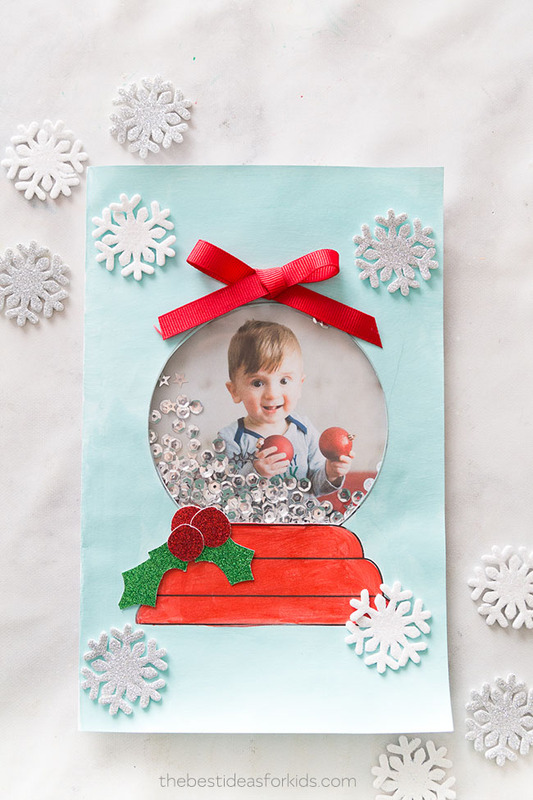 This snow globe card comes with a free printable snow globe template so you can easily put it together. We love that you can add your own personalized photo inside! 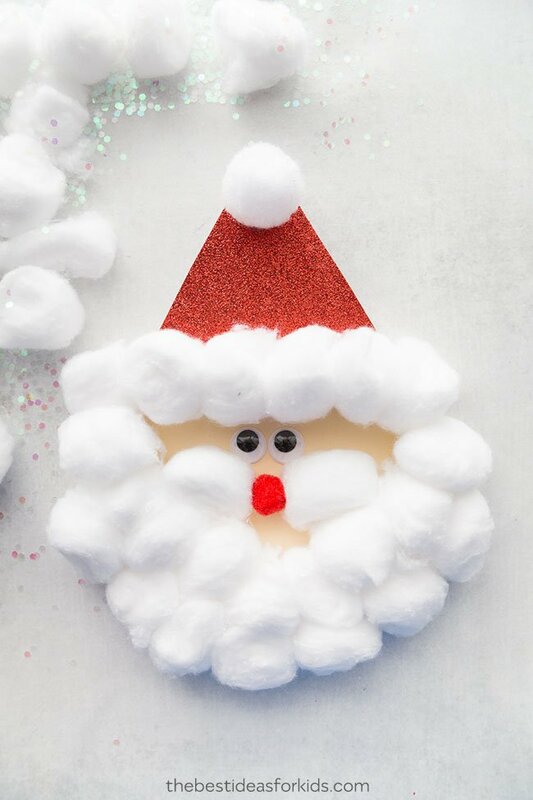 This Santa craft is also a card that opens up! Kids will love making the Santa and also writing their special message inside. 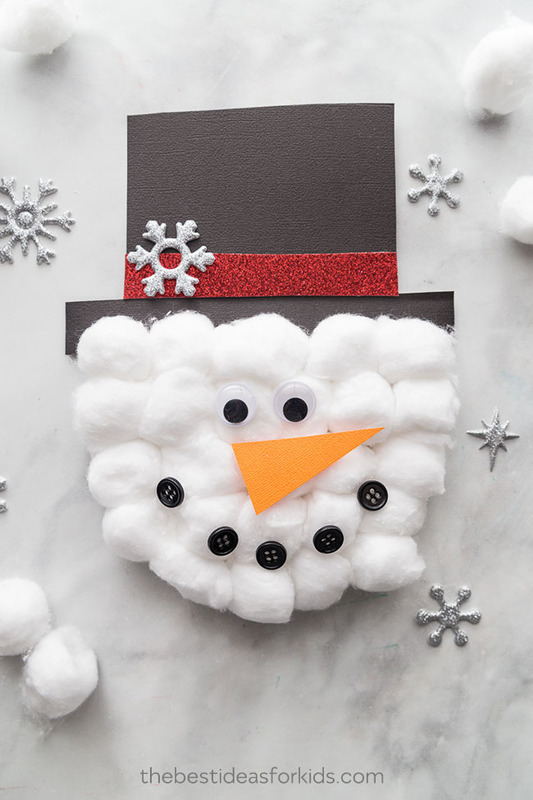 This snowman craft card is just like the Santa card. It open ups to write your own special Christmas message inside. 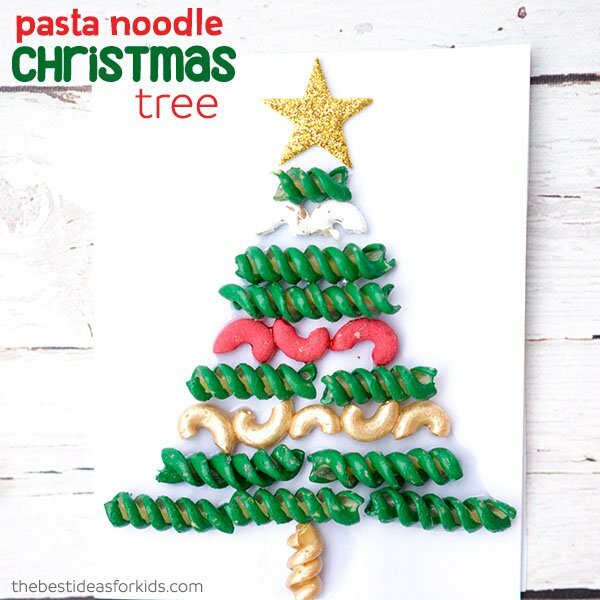 These macaroni and pasta noodle Christmas cards may bring back some nostalgia for you. 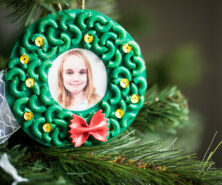 These were inspired by the classic macaroni wreaths that have been done for many years. If you’re not feeling like creating something, you can print off these free printable penguin cards instead. 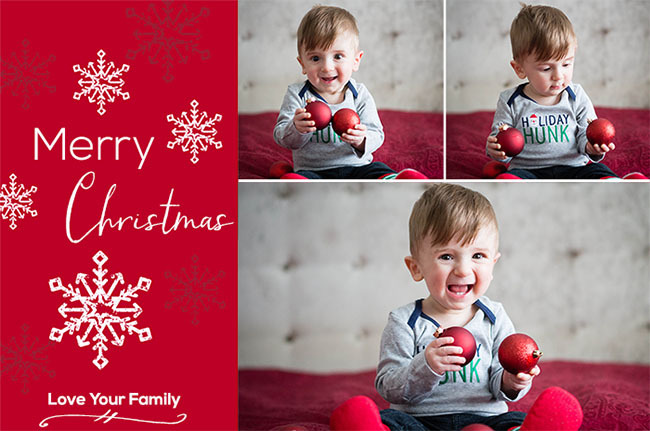 To make your own Christmas photo card, you can grab this free template here and print on printable photo paper. 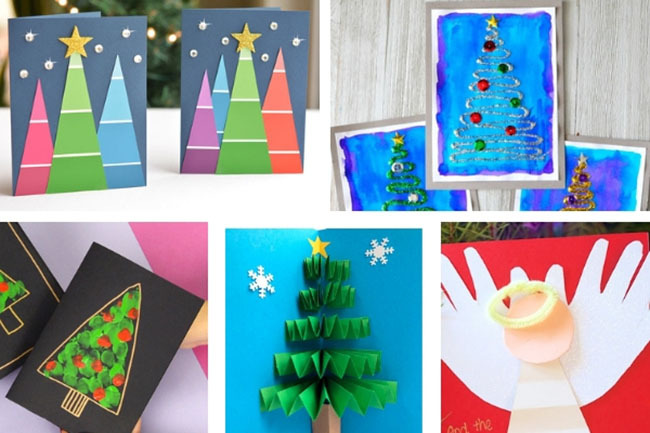 Here are few more of our favorite Christmas card ideas. 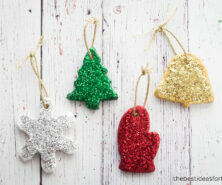 We hope you love all of these Christmas card ideas! 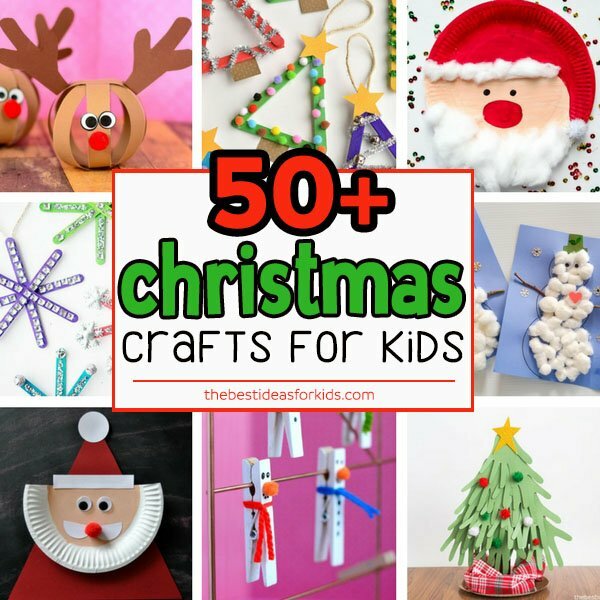 See over 50+ Christmas Crafts for kids – lots of easy crafts for kids. 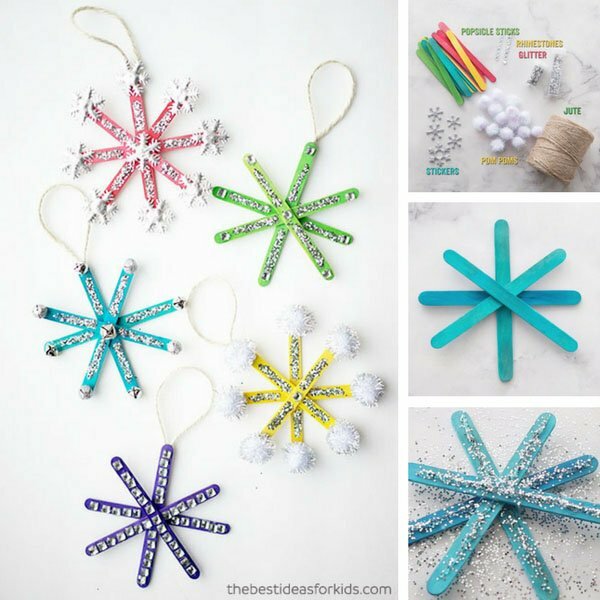 Also see these easy to make popsicle stick snowflakes! 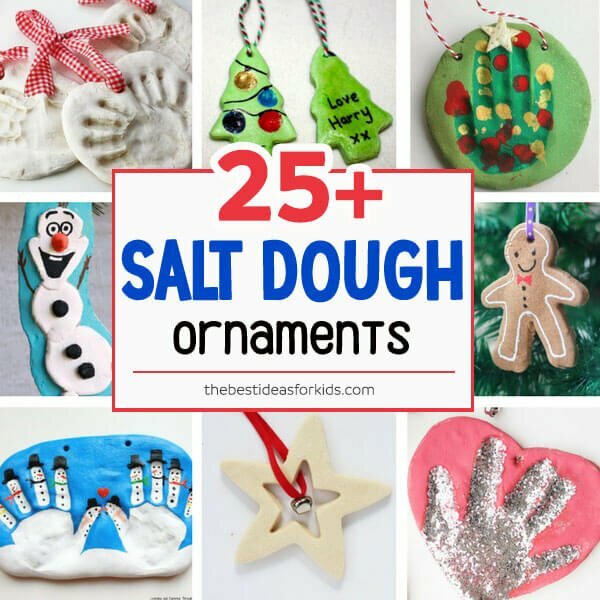 We have over 25+ salt dough ornaments featured here which make great keepsakes and gifts for Christmas!